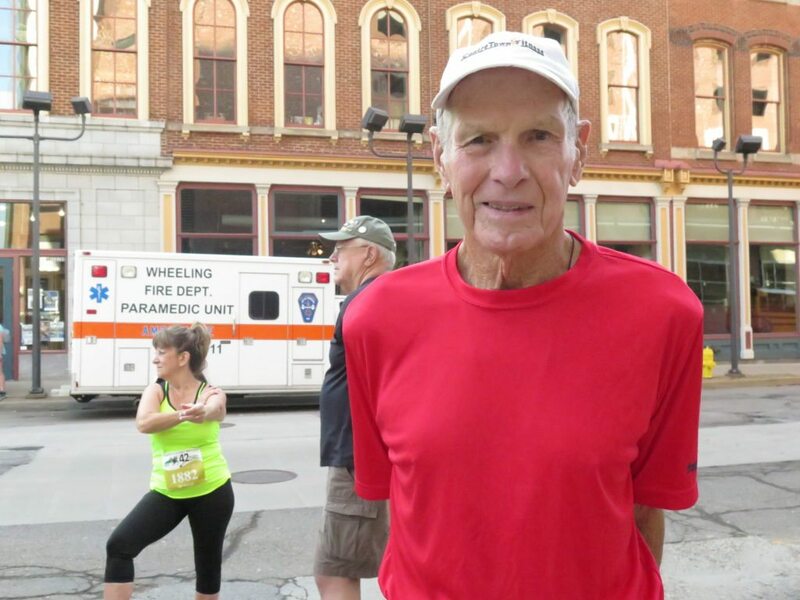 WHEELING — Jack Hines said running and proper eating are keeping him going as he approaches his ninth decade. Hines, of Wheeling, who turns 89 in July, was the oldest participant registered Saturday for the Ogden Newspapers Half Marathon Classic. He offered advice to other aspiring runners. A Wheeling resident, Hines ran 15 Wheeling long-distance races before retiring from the event at age 71. He is now 88, and that was 17 years ago. He made his return to the race last year following the death of his wife, Lois, but this time he opted to run shorter 5K race. And he wasn’t alone. Great-grandson Owen Dobryzynski, 9, ran along side him. On Saturday, Hines participated again in the 5K and ran the race in 41:50. He said he has run at least three times each week for the past 50 years, although these days he does slow down to a walk on occasion. His daughter, Jill Charley, accompanied him to the race Saturday. She reports he is always running, walking, biking or doing garden work. Hines said he has always enjoyed participating in the Ogden Newspapers Half Marathon Classic. “I’ve met a lot of nice people — a lot of good people,” he said. Will he be back next year?